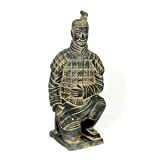 If you are looking for a unique gift why not go for a replica of one of the eight thousand warriors that make up the Chinese Terracotta Army. 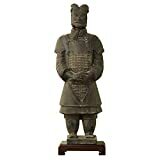 The Chinese Terracotta Army has eight thousand warriors, and they are all unique! So, if you are looking for a unique gift why not go for one of these soldiers. They come in a variety of sizes, and of course styles, and there are even horses too! Yes, this army has not just infantry but cavalry as well. Of course the army itself isn't for sale, although you can actually go and view it for real at the UNESCO World Cultural Heritage Site in China. But reproductions of these amazing terracotta statues are available and make pretty amazing gifts. 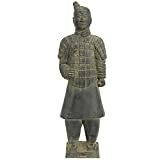 The Terracotta Army is a collection of over 8,000 life-size figures of warriors and horses. They were discovered by chance buried in a field near the burial mound of Emperor Qin, the first emperor to rule over a unified China. 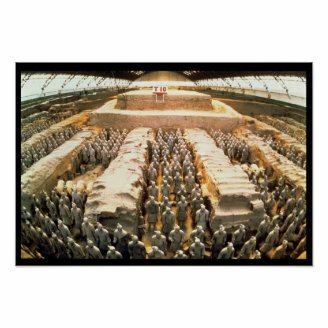 Emperor Qin created this amazing army of warriors made of terracotta, to guard his tomb and rule with him in the afterlife. The completed warriors were placed in precise military formation according to rank, lined up in huge pits. And there they stayed for over 2,000 years! The warriors were found buried near Xi'an, Shaanxi province, China in 1974. Farmers drilling a well for water near Emperor Qin's burial mound came upon them quite by chance. Each soldier is unique, not only in uniform and stance but even with different facial features. This makes it seem likely that real soldiers served as models for these statues. This green silk gift box houses 4 replica statues of the terracotta warriors, each with has a unique face. They are decorative statues for indoor use only, not suitable for outside. A large hall has been built to protect the army which allows the public to see the warriors easily. It is visited by around two million tourists annually. 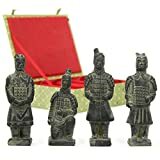 Get a Set of Chinese Warriors - with a Horse! In this cool set you get eight soldiers and a horse! The soldiers are all unique, even with different facial expressions. 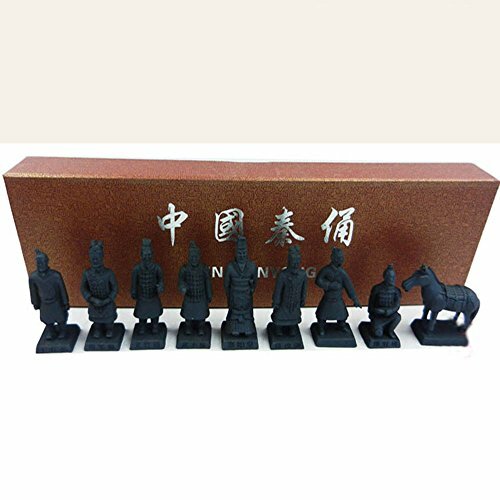 They are all made of resin, and you can choose pottery clay (black), alloy (metallic). or resin (multi-colored). 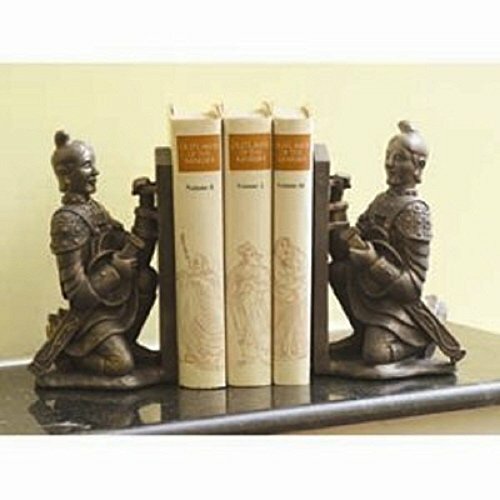 If you don't just want a statue for decoration, you can have a set as bookends. I think that's a really cool idea! 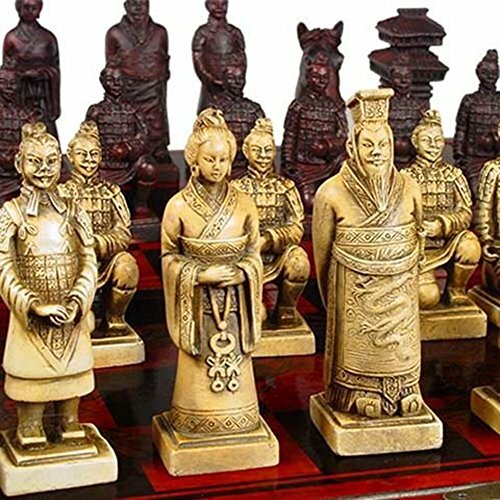 Or, you can have an amazing chess set. Wouldn't that be just great to play chess with these warriors? Would you like to give or receive a Terracotta Warrior as a gift? I did not realize that terracotta could look so lovely in warriors. I love all terracotta things, they are earthy and rustic. If you're looking for a unique gift, these amazing Colossal heads fit the bill! If you're looking for a unique gift, they don't come much more unique than the Moai statues!